3-Port Canopy Kit in Unfinished Steel, 6" dia. Single and multiport canopies offer an infinite number of options in the creation of custom pendant lighting. Canopy comes with a complete mounting kit to fit a standard 4" electrical box and .32" diameter cord-grip bushing that is compatible with a wide variety of popular lamp cords including cotton, rayon, & PVC in twisted pair, 2 & 3-wire (SVT-2 & SVT-3) Round Pulley styles. Canopies are not U.L. listed. 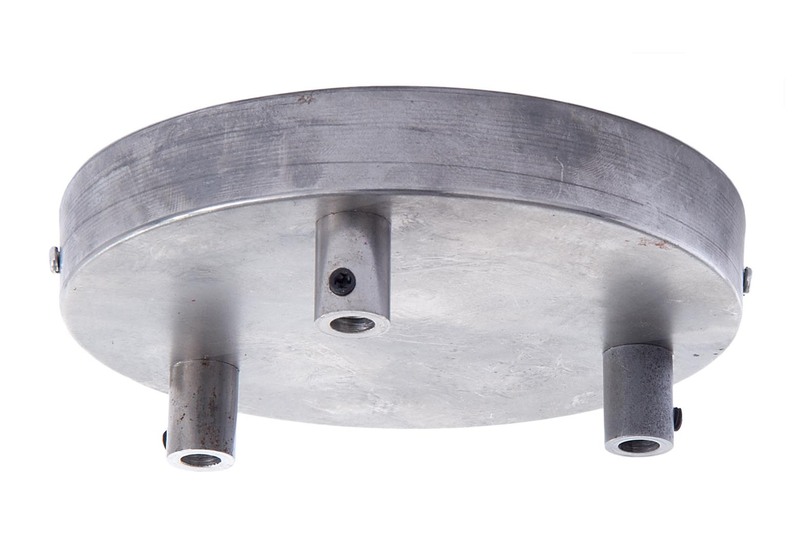 These pendant canopies are not intended to mount large/heavy glass or metal lampshades. 11719U - 3-Port Canopy Kit in Unfinished Steel, 6" dia. No reviews yet for the 3-Port Canopy Kit in Unfinished Steel.